Federal Medicare Fraud Case Attorneys - Oberheiden, P.C. Why Do Clients Trust Oberheiden, P.C. in Medicare Investigations? Oberheiden, P.C. differs from other law firms because of our focus on federal health care law audits and investigations. Oberheiden, P.C. is one of the country’s most distinguished health care fraud defense firms. What characterizes our attorneys is our depth of Medicare law experience and our track record of successful case outcomes. Clients trust us because our attorneys are able to competently advise them on the right course of action in Medicare audits and appeals or active civil and criminal government investigations. We have represented physicians, nurses, nurse practitioners, home health care agencies, hospice care agencies, hospitals, toxicology laboratories, pharmacies, business owners, health care marketing groups, and many other members of the health care industry in Medicare related False Claims Act, Stark Law, Anti-Kickback, and health care fraud investigations in cases across the United States. Who Will Handle My Medicare Fraud Case At Oberheiden, P.C.? When you hire Oberheiden, P.C., you will be represented by senior lawyers with significant experience in Medicare audits and proceedings. The attorneys at Oberheiden, P.C. represent clients who are facing federal criminal charges or believe they are under investigation by the government. Our attorneys operate as “One Team.” No associates. No paralegals. No delegation to junior lawyers. What Exactly is Medicare Fraud? Medicare Fraud is a generic term that refers to the submission of false or fictitious claims to the Medicare governmental health care program. Specifically, Medicare Fraud cases allege fraudulent billing practices and reimbursement requests for false, non-existing, excessive, or unauthorized services and may involve one of the following acts. Life in Prison If the Fraudulent Scheme Resulted in a Patient’s Death. What Should I Do When I am Under Medicare Investigation? Clients are always surprised to find out from us how much can be done to mitigate, avoid, or end a government investigation. While every client’s situation is different, there simply is no such thing as a hopeless case. Something can always be done to improve or remedy the situation. However, time is of the essence if you or your business are under pending or expected investigation. The longer you wait — the more time you grant the government to build its case against you without sophisticated opposition from defense counsel — the easier it is for the government to confront you with something within your practice in support of a fraud case. Oberheiden, P.C. has successfully represented corporate and individual clients against Medicare fraud allegations. Clients contact our experienced former U.S. prosecutors and defense counsel from across the United States to obtain reliable and effective legal advice so that they can move on with their business and life. Our recognized health care fraud defense attorneys have handled hundreds of health care investigations, both on behalf of the United States and in private practice, and it is that unique combined experience that allows us to be proud of our track record of successful Medicare fraud case outcomes for our clients. Immediate Defense. Our priority in Medicare cases is to protect our clients against criminal charges. The chances to do so are significantly higher for those clients that contact us early on, when there is still time to be creative and proactive by negotiating case resolutions with the government. The extraordinary experience of our attorneys in health care fraud cases allows us to quickly assess the case and your situation. Because we understand that there will be many questions on your mind, we attempt to provide you answers to your most pressing questions as soon as possible, often the same day you engage us. For example, we will work relentlessly to tell you what exposure we see for your business and for yourself. Is the case civil or criminal? Where in the process is the investigation right now? What are the specific Medicare fraud allegations? Do the allegations have any merit? What defenses exist that may impact the investigation? What are the chances to end the investigation without recourse to court? What is the likely outcome of my case? Specific Medicare Experience. 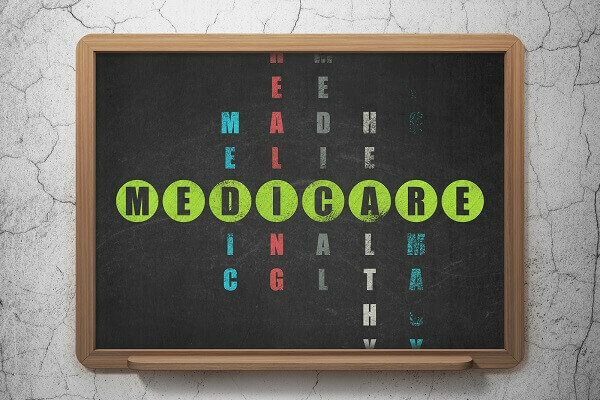 Answering a client’s questions and engaging in sophisticated negotiations with the government in Medicare cases assumes a nuanced and profound understanding of the relevant Medicare laws and exceptions. After all, it is difficult to persuade experienced federal government attorneys and highly trained federal agents in charge of Medicare law enforcement that their assumptions are mistaken without demonstrating full familiarity with the laws that govern the investigation and the laws that will ultimately decide whether a client is subject to federal civil or criminal exposure. The former Medicare fraud prosecutors at Oberheiden, P.C. will ensure that your rights are protected from day one. No Intent. Few clients approach us to tell us that two years ago they sat at the kitchen table and searched for ways to defraud the federal government. In fact, the vast majority of companies and individuals that are subject to a Medicare fraud investigation are shocked and concerned and reach out to us for help in this time of crisis. Not every mistake justifies repercussions. Our defense job is to remind the government prosecutors of the high burden that the U.S. Constitution requires — to prove criminal intent beyond a reasonable doubt. Our attorneys have successfully defended clients across the country by demonstrating that potential mistakes, billing errors, and other inaccuracies were the result of organizational or human error and not an expression of willful and intentional misconduct. Trial Expertise. From an effective case management and strategy perspective, the government must always understand that you and your lawyers have the capacity to challenge the fraud allegations in front of a neutral judge or jury. The specific trial background of your attorneys gives your representation credibility and signals that you will not just surrender but are prepared to present your case in court. With those trial skills come negotiation skills. Effective negotiations must signal that you are willing to find a compromise and a resolution, but if the outcome of that negotiation is not satisfactory you are willing to go to battle. The attorneys of Oberheiden, P.C. have appeared on behalf of clients from all sectors of the Medicare industry to defend fraud allegations at U.S. Attorney’s Offices and in courts across the United States. If you want to find out what we can do in your case, you should call us today and request a free and confidential consultation with a partner level attorney at Oberheiden, P.C.. In addition to the more reactive recommendations above, we strongly recommend the establishment of compliance tools and structures to reduce the risk of a Medicare investigation in the first place. The focus of these structural implementations is to demonstrate to law enforcement your intent to comply with all state and federal regulations. What makes Oberheiden, P.C. different is our experience and our track record. Throughout our careers, our attorneys have handled hundreds of civil and criminal health care investigations. Many of our attorneys come from senior positions within the Department of Justice and share their experience, insights, and contacts as former federal prosecutors in charge of health care matters. What Results Have the Attorneys at Oberheiden, P.C. Obtained for Their Clients in Medicare Investigations? Attorneys in our Health Care Practice Group offer decades of government and private practice experience. Our attorneys pride themselves on being health care fraud defense attorneys who understand the important nuances of the Medicare industry. Helping clients resolve their health care law issues is what we do and how we made a name for ourselves. We understand how complex the Medicare rules are and how easy it is to deviate from permanently evolving and changing regulations. Clients typically contact us because they find themselves in the middle of a government audit, government investigation, or a situation in which they need criminal defense attorneys clearing their name and reputation. Our job is to protect your license, livelihood, and your freedom. See for yourself how we have done in cases that may be similar to yours. Here is a small selection of recent case outcomes. Medicare Fraud Investigation by the U.S. Attorney’s Office and the Federal Bureau of Investigation (FBI) Against Our Client. We Were Able to Convince the Government to End the Case Investigation After Providing Convincing Evidence that Our Client Complied With All Relevant Medicare Laws and Regulations. Our Detailed Medicare Law Understanding Allowed Us to Successfully Defend Our Client and the Case Resulted in No Civil and No Criminal Liability for Our Client and Any of Its Principals, Directors, Employees, and Otherwise Affiliated Individuals. Medicare Fraud Investigation by the FBI in Connection with the Office of Inspector General Against Our Client. We Were Able to Show the Federal Prosecutors that Our Client Did Not Violate Federal Health Care Laws. Our Experience With Medicare Fraud Investigations Allowed Us to Persuade the Government to Conclude the Fraud Investigation with No Civil and No Criminal Liability for Our Client and Any of Its Principals, Directors, Employees, and Otherwise Affiliated Individuals. We are proud of our track record. Our attorneys have helped many clients from across the United States to a result of no civil and no criminal exposure. In fact, we have accomplished great results in what initially appeared to be almost hopeless situations. We have turned targets of federal health care fraud investigations into witnesses, we have negotiated civil penalties from millions to nominal fines, we have convinced prosecutors to move on to other matters, we have ensured our physician clients maintained their licenses, we have successfully argued that health care law defenses and exceptions apply to our clients’ situations, and we have saved our clients decades and decades of jail time by choosing the right defense strategy. What Is Oberheiden, P.C.’s Federal Trial Experience? Our trial philosophy is simple: we will go to trial when we firmly believe that we can win. Sometimes going to trial is not just the best but also the only option. Professionals can’t afford to lose their license and nobody should plead guilty just to hasten the end of the case. At Oberheiden, P.C., the decision to go to trial is made after careful analysis of all existing evidence, identification of all available helpful and adverse witnesses, testimony prediction, and a determination of any conceivable and plausible alternative to trial. Oberheiden, P.C. clients don’t go to court unprepared. Our clients are zealously represented by highly qualified federal trial attorneys with specific health care law backgrounds. If you are looking for a true federal trial law firm, then look no further. Oberheiden, P.C. is one of the country’s most prominent and most distinguished federal trial law firms. Our attorneys have led trial teams in federal courts across the United States. Combined, our lawyers have served as responsible supervisors or as lead counsel in approximately 300-500 federal criminal trials, many of them involving health care law. The attorneys at Oberheiden, P.C. are skilled, trained, and highly respected criminal litigators. At any given time, our attorneys are presently involved in federal litigation allowing us to constantly hone our skillset and spread our reputation of excellence throughout the country. Clients contact Oberheiden, P.C. from across the United States to seek reliable and effective advice regarding potential or pending government investigations. Our attorneys offer decades of relevant government experience— and they include the former chief for health care fraud at the U.S. Attorney’s Office, former Assistant United States Attorneys (AUSA), former Special Assistant United States Attorneys (SAUSA), and other nationally respected health care fraud defense lawyers. No matter what the situation, our attorneys have the experience and skillset to appropriately assess the best options. Medicare rules are complicated, and violations can trigger severe penalties. Experience matters, so do not waste your time with junior lawyers or attorneys that first need to research your legal questions. We recognize the importance of each matter and we dedicate our fullest attention to each client. We are available to discuss your concerns in a free and confidential consultation, including on weekends. Call us today.